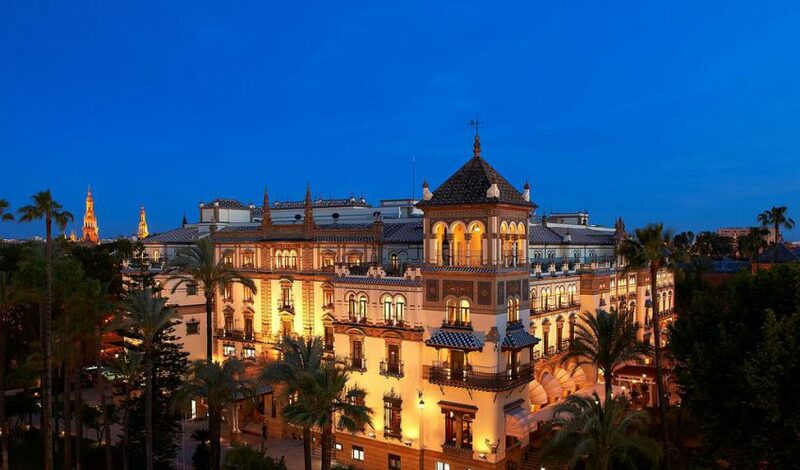 The hotel Alfonso XIII, belonging to a Luxury Collection, is one of the most prestigious Spanish hotels. The Hotel was opened in 1928, and from the very beginning had been planned for sophisticated people. Namely, King Alfonso XIII (1886-1941) friends and visitors of the Iberoamerican Exposition, held from 9, May 1929 – till 21, June 1930. 19 Latin American countries, including the USA and all Spanish regions participated in the Exposition. In Spain, lots of displays had been prepared for the Exposition, in order to show the richness of Spanish culture and improve relations between Spain and Latin American countries, some of which were ex-Spanish provinces. The magnificent building of the hotel Alfonso XIII, was constructed according to a prominent Spanish architect Anibal Gonzalez (1876 – 1929), project. The master was appointed as well, the chief architect of the Iberoamerican Exposition. 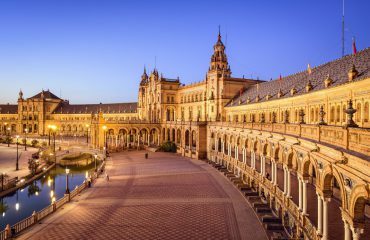 One of the most important projects, fulfilled by the architect Gonzalez for the Exposition, was the Plaza de España – the most symbolic place of the above mentioned International event. The Hotel, devoted to the same occasion, attracts our attention with its’ elegant design. Arabic style arches and ceramic files decorate this hotel. The Alfonso XIII Hotel has 147 rooms: standard and suite, and each room has its’ individual design. 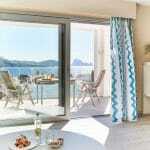 Here you will also find an air-conditioner, mini-bar, fridge with beverages and snacks, a gown and slippers. 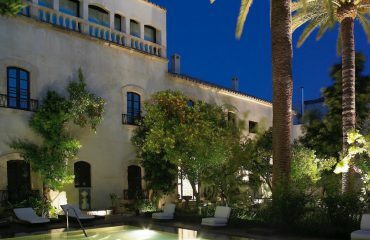 The Hotel infrastructure includes a typical Spanish garden with a fountain, conference hall, banquet room, business centre. Internet is free, all the guests of the Alfonso XIII –a Luxury Collection have a wonderful opportunity to have meals in the open air – in the Taifas restaurant, near the swimming –pool. Sweet snacks, wine and beer are served here. 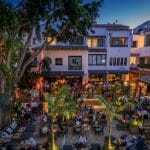 As to typical Spanish cuisine dishes, you will taste them in an Andalusian patio of the San Fernando restaurant. A coffee-bar Americano is also, at hand. 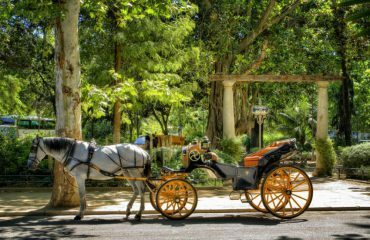 The Hotel is situated in Santa – Cruz, which is the historic part of Seville, and is situated next to all the main sights of the city: the ancient university, Cathedral of Seville, Hiralda, the Guadalquivir embankment, etc. The airport is in 14 kilometres from the city. The Old City, where the Hotel is situated is the best place, if you are a gourmet, in general, and a tapas devotee, in particular. The Hotel Alfonso XIII – A Luxury Collection Hotel: (The Luxury Collection by Starwood) receives guests from 9, June, 2005. In 2018 it will celebrate its, 90 Anniversary. Many famous people such as: members of royal families (Spanish and British), writers, actors etc. : Ernest Hemingway, Placido Domingo, Sofia Loren and others were among its’ guests. The hotel is preserving its renowned traditions and its’ unique atmosphere: luxury rooms, exquisite restaurants, traditional cuisine. 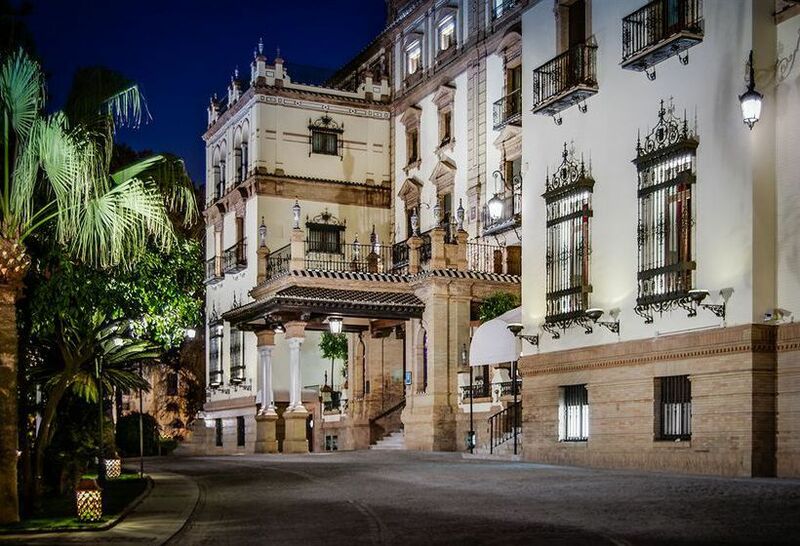 In a word, The Hotel Alfonso XIII Seville is an impressing combination of the highest service standards and the richest cultural traditions. Our company will help you to book a room in the Hotel and will provide you with all necessary information.